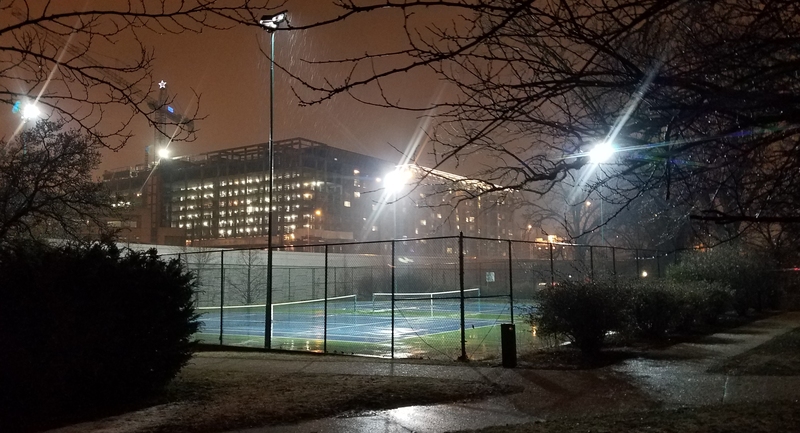 A high rise looms over the tennis courts in Garfield Park. March 8, circa 6:30pm. ANC6D meets at 7:00pm, 1005 5th Street, SE, (Capper Community Center). Councilmember Charles Allen visits to discuss the City Council and Ward 6. Letter to DCRA to Deny a Parking Permit for Contractor Dumpster on 4th Street. Letter to Charles Allen RE Air Quality and the Negative Health Impacts on the Residents in Old Southwest. Letter to the Public Service Commission to Require/Mandate Pepco to monitor EMF Levels as part of the Capitol Grid Project . Letter to DDOT RE Concerns (traffic, air quality, etc.) about Frederick Douglass Bridge Project on the lives of the residents of Southwest. 861 New Jersey Ave Public Space Construction Permit Application. DDOT Transportation Operations and Parking Plan (TOPP) Update. Holiday Inn Capitol, 550 C Street, SW – new restaurant license w/Entertainment, 2 summer gardens, 1 sidewalk cafe: new Cooperative Agreement. Spirit Cruises, Alexandria, VA – Amendment 1 to Cooperative Agreement for Additional Boat #8: Miss Josephine. Punch Bowl Social, 1250 Half Street, SE – new restaurant license w/Entertainment + 2 sidewalk cafes & summer garden: new Cooperative Agreement. Pop Social, 470 L’Enfant Plaza, SW – new tavern license w/Entertainment, Dancing, Cover Charge + stipulated license. 501 I Street SW/The Bard presentation – Zoning application. Remarks – Amidon Bowen PTA & United Neighbors of SW.
Cambria Hotel – Public Space Application. Community Meeting on Metro Plaza Redesign – ANC6B’s Livable Communities Task Force – meets at 7:00pm at The Corner Store, 9th and South Carolina Avenue, SE. ANC 6B will meet at 7:00pm at Hill Center, 921 Pennsylvania Avenue, SE. 124 11th Street, SE – Historic Preservation application, concept/rear and rooftop additions. 124 11th Street, SE – Zoning adjustment application, Special Exception from the lot occupancy requirements, to construct a one story rear addition and a two story accessory building to an existing attached principal dwelling unit. 1639 Potomac Avenue, SE – Zoning adjustment application, Special Exceptions to construct a two-story rear addition to an existing, attached principal dwelling unit. 522 6th Street, SE – Historic Preservation application concept/two-story rear addition. 1225-1227 Pennsylvania Avenue, SE – Zoning adjustment application, Special Exception to construct a second-story addition on an existing one-story commercial use building. 360 7th Street SE; The Eastern Wine Bar – Public Space Permit application for a new sidewalk café unenclosed. 620 C Street, SE – Historic Preservation application – concept/one-story rooftop. 209 C ST SE – Historic Preservation application – Plans to alter the front areaway within public space. 201 East Capitol Street SE; Folger Shakespeare Library; Public Space Construction Permit for public space improvement including new main entrances, gardens, street trees, removal of curb cuts. Among items on the draft agenda. Ward 6 member of the DC Board of Education—Jessica Sutter. DC Sun, solar panel installation—Michaela Meehan. Café Fili, 701 2nd Street NE, application 10712570 for unenclosed sidewalk café. Proposed rulemaking, proper behavior in bike lanes. Greater Greater Washington Bus Priority Resolution. Folger Library, new accessible entrances and visitor amenities. Verizon, 120 7th Street NE, parking issues. Verizon, 120 7th Street NE, illegal construction. 224 C Street NE, Zoning adjustment – Special Exception to add a second floor rear addition. 429 5th Street NE, Historic Preservation application – concept approval for a three-story rear addition and one-story rooftop addition. 2019 Council oversight hearings, topics for ANC6C testimony. 707 H Street NE, potential Bureau of Zoning Adjustment appeal, certificate occupancy. Brothers Burger Bar, LLC d/b/a Aroma, 707 H Street NE, new restaurant application. Capitol Hill Classic Marathon, Sunday, May 19, including ban on parking along route. ANC6A letter of support to the District of Columbia Homeland Security and Emergency Management Agency (HSEMA) for the 2019 Capitol Hill Classic race (May 19), which benefits the Capitol Hill Cluster Schools. ANC6A reuest to the District Department of Transportation (DDOT) to establish a Daytime School Parking Zone for Maury Elementary School with boundaries identical to the Maury Elementary School boundary zone; hours of operation from 7:00am to 6:00pm; permits provided only to District Government employees working at the Maury site. The request would be conditional on approval of the variance request by DCPS/DGS to reduce on-site parking below the minimum 21 spaces required by zoning regulations; commitment by DCPS/DGS to convert a portion of the planned parking lot to play space; and conversion of the west side of the 200 block of Twelfth (12th) Place NE to Resident Only Parking. 1511 – 1515 A Street NE – ANC6A letter of support to BZA for a special exception to subdivide the existing lot and construct three (3) new, attached flats in the RF-1 Zone on the conditions that the developer make best efforts to obtain letters of support from neighbors at 1507, 1509, and 1515 A Street NE; revise the final design to include consistent massing with design of the cornices; that the developer conduct a shadow study; and that the current owner withdraws the appeal currently pending before the Office of Administrative Hearings related to prior zoning of the property. Last Thursday, ANC6B received a copy of the latest DGS project design – including significant changes in the design of the park and children’s playground between 8th and 9th Streets and Pennsylvania Avenue and D Street. The loss is a double one – not only for the nearby community, but also for the troubled 400 block of Barracks Row. ANC6D has established a new Taskforce to address Barracks Row issues. The first meeting will be at 7:00pm on Tuesday, March 7, in the ground floor conference room of the Hine Project, at 700 Pennsylvania Avenue, SE. The purpose of the group is to identify and drill down on the retail challenges on Barracks Row, especially the 400 block. The Evening Star, Birch & Barley, Red Apron Butcher, The Partisan, Iron Gate, Bluejacket, Columbia Firehouse, Vermilion, Buzz Bakery, Red Apron Burger Bar, Owens Ordinary, B Side, Churchkey, Planet Wine Shop, Rustico, Hazel, The Sovereign, Eat Bar, Arcadia. 300 block of 7th Street, SE, circa 7:00am,, March 9. The Saturday Flea Market will resume under city management next weekend. As reported here https://bit.ly/2MzPPjK on CHC, DGS terminated the license of Saturday flea market operator Carol Wright in January after Wright had failed to sign a new contract, and announced it would put out a Request for Proposals for a new Saturday flea market manager for the 300 block of 7th Street. That RFP was issued February 7. On February 27, Margeson told the Eastern Market Community Advisory Committee (EMCAC) that there had been responses to the RFP, (though apparently only one met RFP criteria) and an answer would be given to that applicant on Monday, March 4. According to Sunday Flea Market Operator Mike Berman, the one response to receive consideration for DGS was his, and he had laid out a detailed plan for organizing, staffing, and recruiting vendors for the market. He said the answer he received from Margeson on March 4 was a rejection. Berman told CHC that the terms of the RFP were prohibitive, and that he had attached an addendum to his proposal – as requested if an applicant took exception to the RFP criteria. His main concerns, he said, were the $3300 a month rent (up from $2000), the six month limitation on the license, and the restriction that sales be limited to “locally made arts and crafts, antiques and imported handcrafts from other countries”. Berman said he had expected DGS to respond to his addendum with an opportunity to enter into negotiations. Instead, DGS announced its intent to manage the Saturday flea market itself. For the record, the portion of the weekend flea markets on the newly opened C Street between 7th and 8th Street, are being operated independently from DGS, under a separate contract with the Hine developer. Saturday flea market manager Carol Wright continues to operate that market though Berman says that for him, operating the flea market on C Street doesn’t work without the 300 block of 7th Street. Capitol Hill Corner – The Week Ahead…. 200 Block of Seventh Street, SE, circa 4:00pm, February 25. ANC6C Alcoholic Beverage Licensing Committee meets at 7:00pm, Kaiser Permanente, 700 2nd Street, NE. Brothers Burger Bar, LLC d/b/a Aroma, 707 H Street, NE, application for new restaurant license. ANC6B Planning and Zoning Committee meets at 7:00pm, Coletta’s school, 1901 Independence Avenue, SE. Discussion on neighborhood elements of the Comprehensive Plan (Tentative). 124 11th Street, SE – Historic Preservation Application – concept/rear and rooftop additions. 124 11th Street, SE – Zoning adjustment – Special Exception to permit construction of a one story rear addition and a two story accessory building to an existing attached principal dwelling unit. 1639 Potomac Avenue, SE – Zoning adjustment – Special exceptions to permit construction of a two-story rear addition to an existing, attached principal dwelling unit. 522 6th Street, SE – Historic Preservation application – concept/two-story rear addition. 209 C Street, SE – Historic Preservation application – Plans to alter the front areaway with public space. 1225-1227 Pennsylvania Avenue, SE – Zoning adjustment – Special exceptions to permit construction of a second-story addition on an existing one-story commercial use building. 360 7th Street, SE, The Eastern Wine Bar – Public Space Permit Application for a new unenclosed sidewalk café. ANC 6C Environment, Parks & Events Committee meets at 7:00pm, Kaiser Permanente, 700 2nd street, NE. NoMa Parks Foundation – Status update on parks projects and underpass installations. Capitol Hill Classic – This year’s event will be held on Sunday, May 19. Race organizers will talk about the event and again seek ANC support. We will pay special attention to the planned implementation of MPD’s “Clean Routes Initiative”, which bans parking along the race route. ANC6B Transportation Committee will meet at 7:00pm in the conference room, ground floor, 700 Pennsylvania Avenue (entrance to left of Trader Joe’s). Revised Circulator Turnaround at Eastern Market Metro. Overview of DDOT’s Sidewalk Repair System. 2nd Draft of Small Cell Design Guidelines. Re-introduced Transportation Benefits at Equity Amendment Act of 2019. Final Discussion on suggested dockless bike rack locations in 6B. 224 C Street, NE – Zoning adjustment application for a special exception to permit a second floor addition to an existing accessory structure. 707 H Street, NE – Discussion of potential BZA appeal from the January 22 issuance of certificate of occupancy CO1901156 in apparent violation of the maximum 1.5 FAR in the NC-16 zone. Capitol Crossing [air-rights project above I-395, bounded by 2nd & G Streets, NW] Zoning Application – PUD modification of consequence to convert the approved use of the building from residential (with ground-floor retail) to hotel use and to provide the approved affordable housing off site. 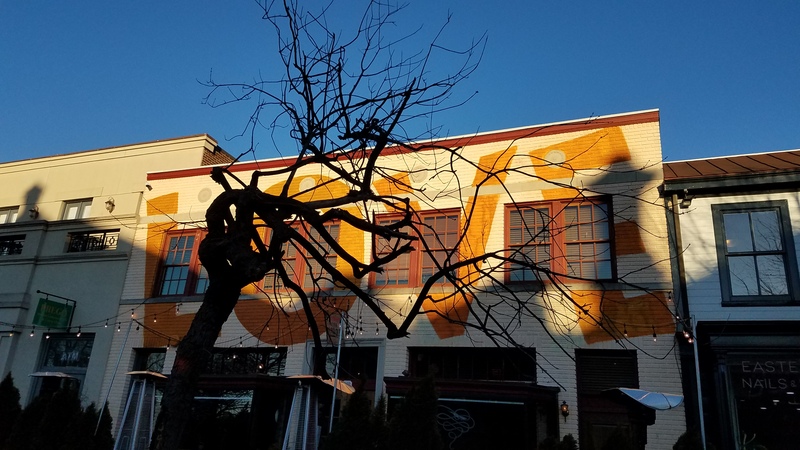 2019 Council oversight hearings – Discussion of further topics for ANC 6C testimony. ANC6B Alcoholic Beverage Control Committee meets at 7:00pm at Hill Center, 921 Pennsylvania Avenue. ANC 6C Transportation and Public Space Committee meets at 7:00pm, Kaiser Permanente, 700 2nd Street, NE. 701 2nd Street, NE – Café Fili – Public Space application for an unenclosed sidewalk café. Verizon – 120 7th Street, NE – Verizon owns a large building at 120 7th Street, NE used for telecommunications equipment. On the street in front of the parking lot is signed “Tow Away, No Parking, Loading Zone, 8 am to 4 pm” but there is no driveway between this section of the street and the entrance to the building. Over the last several months, Verizon and/or its contractors have been driving trucks over the curb and unpaved public space to the parking area near the entrance to the building. A Verizon rep has been invited. The committee will discuss options to stop this behavior, which may include installing tree-box fencing or removal of the loading zone. Friends of Southeast Library meet at 5:30pm at Southeast Library, lower level. Discussion of upcoming March 9 book sale and other routine business. Political street artist Absurdly Well and artist Esteban Whiteside come together in their first joint art exhibition to address social circumstances that galvanizes today’s urban society. Gentrification and displacement is at an all-time high in major cities in the nation. The lack of financial, domestic and democratic safety has been taking a toll on the poor and middle class for years. Artists also have been feeling the pinch of big business moving in Washington. With more and more luxury condominiums being built & rising rents, artist spaces have been shutting down. These factors consequentially put this ‘broken safety’ in the cross-hairs of many US citizens. Collectors and admirers of Absurdly Well & Esteban will be amazed by the ambitious sizes of art and spanning subject-matter. Each piece is a unique perspective on and during the Trump regime from the most prolific artist-activists. Most pieces are never-before-seen. Exhibit will be on view through March 31, and there will be programming and artist talks throughout the month by both artists. The Fridge is at 516 1/2 8th Street, SE, rear alley. Launch party for CONFLUENCE: Two Rivers One City, 7:00pm, Corner Store Arts, 900 South Carolina Avenue, SE. In the Gallery: IT’S ELEMENTARY: The Four Elements – Earth /Air /Fire /Water. Featuring artists: Maremi Andreozzi, Kate McConnell, Heike Gramckow, Kimberley Bursic, Nan Raphael, Chica Brunsvold, Nanette Bevan, Aina Neergard Nammack, and Karen Cohen. Closing Party: Sunday March 31 from 3-5pm. Friends of Southeast Library Book Sale. 10:00am – 3:00pm, Southeast Library, lower level. Upcoming new season of free, noontime music from the Washington Bach Consort – a perfect way to spend your lunch hour. The Cantata Series kicks off on Capitol Hill on Monday, March 4th at St. Peter’s Church, (313 2nd St., SE) and the next day, Tuesday, March 5th at The Church of the Epiphany (1317 G Street, NW). The series continues until May on the first Monday and Tuesday of each month. Each show starts at 12:10pm and free to the general public. The series continues the Bach Consort’s mission of introducing and making accessible the music of J.S. Bach to audiences who may not have prior familiarity with his work or with classical music in general. For nearly three decades, Washington Bach Consort has presented the free Noontime Cantata Series in downtown DC at the Church of the Epiphany (1317 G Street, NW). They expanded their work last year to include the Capitol Cantatas Series, fulfilling the long-time dream of Washington Bach Consort Founder, the late Dr. J Reilly Lewis. Washington Bach Consort will continue to offer their original Downtown Cantata Series at the Church of the Epiphany on the first Tuesday of each month during their season. Margaret Hollister, a Capitol Hill resident with a passion for literacy and education, was the driving force behind resurrecting the Friends of Southeast Library in the 1970s. The group is a strong advocate for the library and supports several library programs with funds from its almost-monthly book sales – one of the most successful in the city. The community owes her a debt of gratitude. 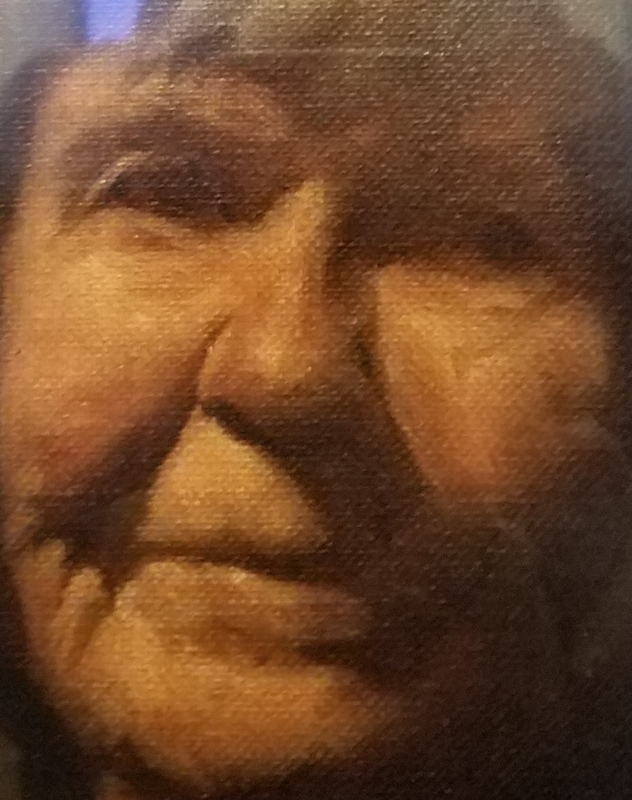 She died on January 3, 2019, at 102. 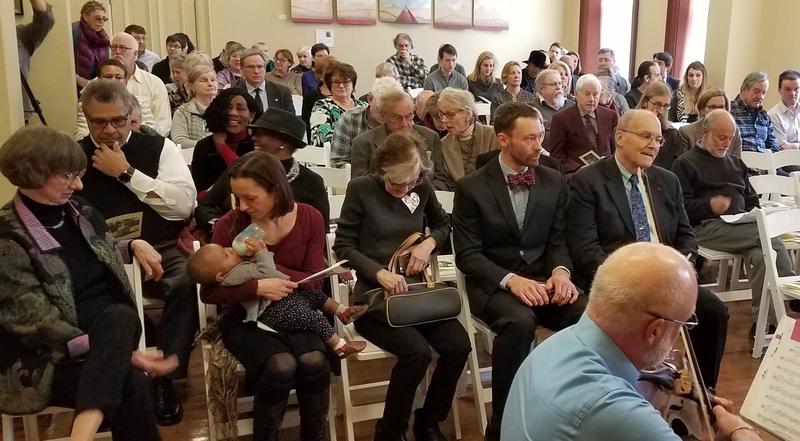 Some 80 friends and relatives of Margaret Hollister gathered at Hill Center on Sunday, February 17, to celebrate her life. ANC 6A Transportation & Public Space Committee Meets at 7:00pm, Capitol Hill Towers, 900 G Street. NE. Presentation of traffic study results for 8th & A Street intersection as well as 10th & East Capitol Street intersection – Naomi Klein, District Department of Transportation will provide study results but will not attend. Evaluation of Commissioners’ lists of “pedestrian safety issues” to be grouped and prioritized for eventual submission to DDOT. The 40th Annual 2019 Capitol Hill Classic 10K, 3K, and Fun Run – May 19 – Roberta Stewart. Review of potential application for Maury Elementary under the Daytime School Zone Parking Act. ANC6B Executive Committee meets at 7:00pm at Hill Center. To set the agenda for the meeting of ANC6B on March 12. Eastern Market Community Advisory Committee (EMCAC) meets at 7:00pm, North Hall, Eastern Market. Independent Community Member election: Nomination Committee Chair, Chuck Burger. Meeting with Stanton Eastbanc re parking and the Memo of Understanding. DSG’s Request for Proposals (RFP) for a flea market operator on the 300 block of 7th Street, SE. Community Litter Cleanup starts at 9:00am (Trusty’s and Atlas Vets have a 10:00am start). Gordon Parks: The New Tide, 1940-1950. An exhibition of 120 of Park’s photographs, magazines, books, letters and family pictures. 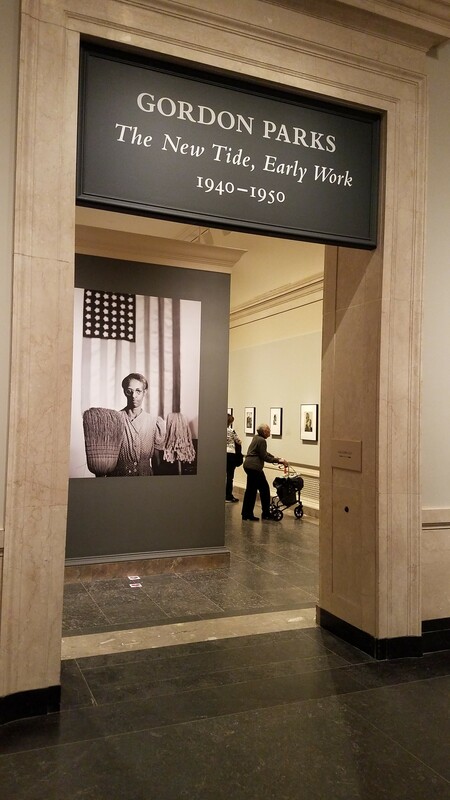 At the National Gallery of Art, West Wing, ground floor. On exhibit through Monday, February 17. DC Government observes Presidents’ Day. No trash pickup. CANCELLED ANC6A Alcohol Beverage Licensing Committee meets at 7:00pm. Sherwood Recreation Center, 10th and G Streets, NE. Eastern Market Community Advisory Committee, Special Meeting, 7:00pm, North Hall of Eastern Market. Community input on the performance of DGS as related to Eastern Market in preparation for the oversight hearing of the City Council’s Committee on Facilities and Procurement. Capitol Hill Restoration Society Board of Directors meets at 6:30PM, at Capitol Hill Townhomes, 750 6th Street, SE. CANCELLED ANC6A – Economic Development and Zoning Committee meets at 7:00pm, Sherwood Recreation Center, 10th and G Streets, NE. Mayor Bowser’s Budget Engagement Forum #1 meets at 6:30pm, Arthur Capper Community Denter, 1001 5th Street, SE. Metro stop: Navy Yard/Ballpark Station. You Have to Watch Them Every Minute…. There was a lot of back and forth between the owner of 326 A Street, SE, near St. Mark’s Church and the Historic Preservation Review Board (HPRB) the past couple of years over a proposed renovation of this property. The bottom line was HPRB’s approval of a renovation entailing the demolition of a small attached structure at the rear of the house. Any other demolition was to have been only after a report detailing conditions and plans regarding dismantling, salvaging, and reconstructing the house using as much of the original material as possible, and with the stricture that the east elevation of the house should be retained. However, once a contractor gets started, sometimes it’s hard for them to stop. The result is shown above: a demolition that goes far beyond anything authorized by the HPRB, with no possibility for salvage, the construction material already having been hauled off. 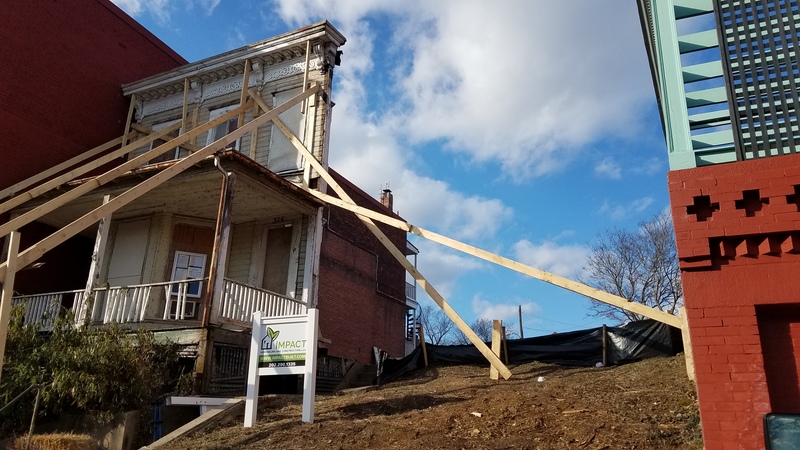 Once the extent of the work was called to HPRB’ attention, an inspector slapped a stop work order on the project – too late to comply with any HPRB attempt to preserve a contributing structure to the Historic District. The contractor was reported to have justified the virtual raze by claiming unsafe conditions at the site. HPRB has mandated that work cannot resume until a revised building permit is reviewed and approved by that office and approved by the Department of Consumer and Regulatory Affairs – the forced delay apparently being the only penalty for transgressing HPRB’s license. As they say, sometimes it’s easier to ask forgiveness than permission. Councilmember Charles Allen updates ANC6C on council actions affecting Ward 6. CM Charles Allen appeared before ANC6C’s February meeting Wednesday night at the first of hisannual early spring Ward 6 ANC appearances to report on what’s happening in the city council vis a vis Ward 6. As Chair of the council’s Judiciary and Public Safety Committee, he had a lot to say about crime and policing. He wants to focus on prevention, citing the work of the Office of Neighborhood Safety and Engagement (created under the NEAR Act – Neighborhood Engagement Achieves Results) – which aims to intervene in communities to head off violence. Allen said that most violent crimes are one-on-one interactions that turn lethal very quickly, involving a gun or knife. The question is, he said, “How do we get into the neighborhoods to stop it – it’s not always police officers – we work with neighborhood leaders to help de-escalate situations.” He says the city has spent a lot of time on that and has seen results. The city is looking at a multifaceted approach because there doesn’t seem to be a single answer. 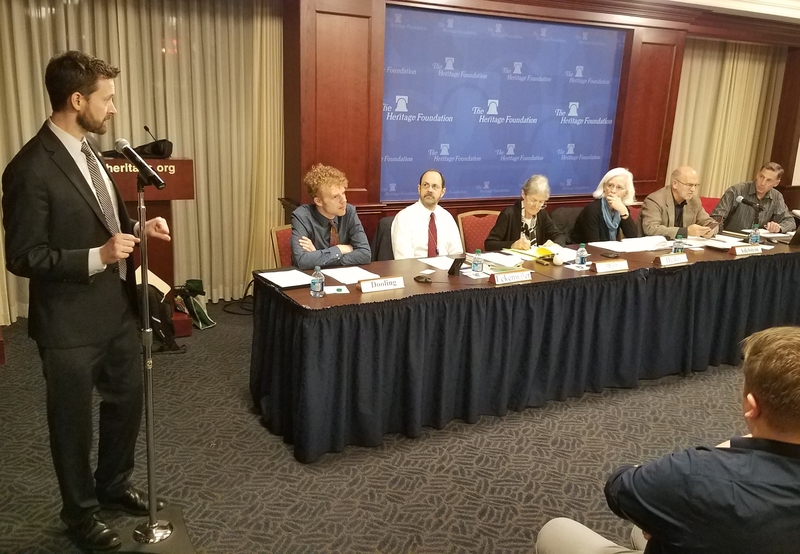 He cited one of the facets, the Red Flag Law – requiring police to take weapons from people deemed dangerous to themselves or others, while providing limited immunity from charges of possession for people turning in illegal guns. A second major issue for Allen is transportation and safety. He says DC gives priority to convenience of cars and not the ability to walk through neighborhoods – “The presumption in our neighborhood should be four-way stops, and putting pressure on DDOT to convince us why not why there should not be one.” Allen said he will continue to press DDOT Director Marootian. Public space and parks – Allen said he would continue to push on rethinking our investments in public space to create dynamic spaces good for public safety. Homelessness – He noted that MPD is often called upon to address homeless issues, and while many officers are sympathetic to the problem, they have a limited toolset. The focus has been on family homelessness, and not so much on individual homelessness. Allen said, “We need to get housing for these individuals before we can address mental and abuse issues.” He said he will continue to support more funding. Affordable Housing – Ward 6 is leading the way to expand opportunities on affordable housing, not just studios, but for all phases of life. Education – DC Schools Chancellor Lewis D. Ferebee has appeared before the council at several hearings including, including one which ran until 11:30pm the Tuesday night. Allen said “I heard many commitments I like but I’m not fully supporting him yet. Allen said he needs to hear more about solving the problems in Ward 6, especially regarding equity – making sure were doing enough for each kid to see that he or she gets what they need. Allen will hold community office hours this Friday at Pretzel Bakery, 257 15th Street, on Friday, February 15, from 8:00am to 9:30pm. The orange liquor license application placards mark the future home of “The Eastern” – the new wine bar coming to 7th Street. 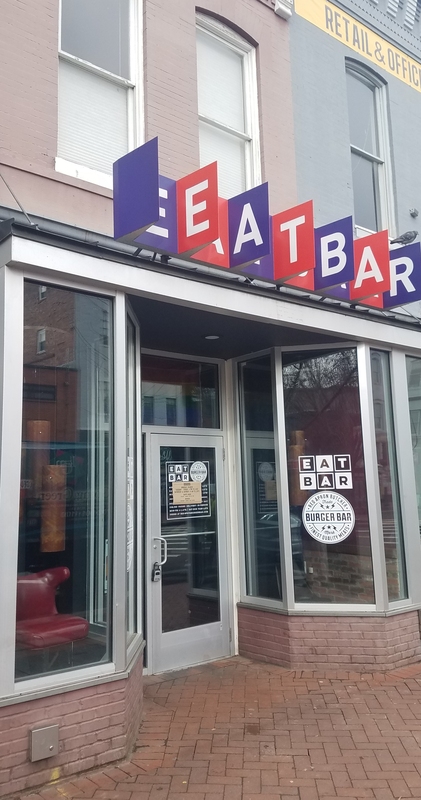 Last Thursday, ANC6B’s Alcohol Beverage Control committee voted to support a tavern license for a proposed 1500 square foot wine bar “The Eastern” scheduled to open in May or June in the Hine Project on 7th Street, SE, near Eastern Market. The restaurant will offer 30 to 50 wines by the glass, as well as full bottles, a cocktail program and a full food menu – cheese, charcuterie, and small plates. The license will not permit live entertainment. The Eastern will seat up to 85 – 55 indoors and up to 30 on the sidewalk café. It will be open for brunch on Saturdays and Sundays. Owners Matt Weiss and Mike Schuster have a long history in the Capitol Hill hospitality industry, being owners or co-owners of a lot of local outlets: Barrel, Union Pub, 201, McClellan’s Retreat, Truxton Inn, Café Midar, Compass Rose, Trusty’s, and the Star and Shamrock. 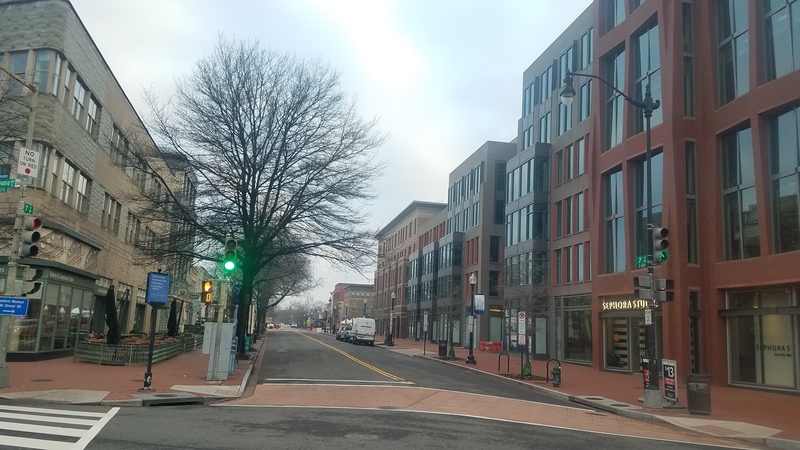 Weiss told ANC6B’s ABC committee that the team was interested in expanding in the neighborhood, and the Hine developers were looking for a wine bar. He said that the wine bar breaks with the pattern of their other bars which they located in older buildings, but they liked the prospect of being close to Eastern Market and to Barrel. 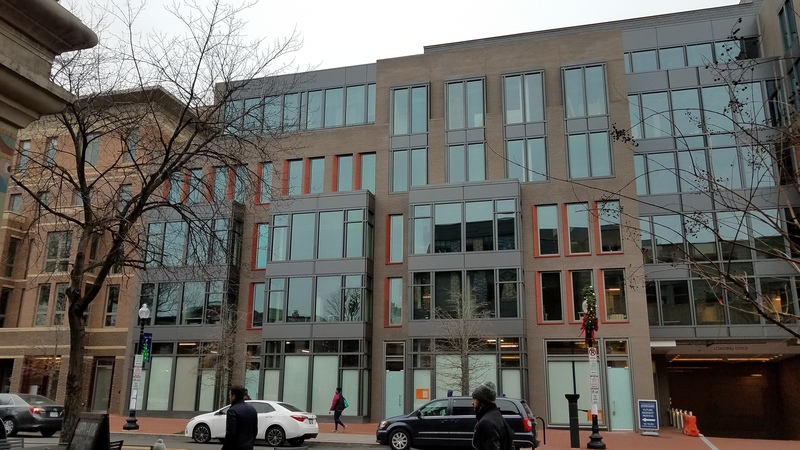 The recommendation of the ABC committee that the full ANC6D support the license request will come up Tuesday night at the monthly meeting at Hill Center, where it likely to be approved without objection.